This Langrisser Mobile guide will provide players some brief information regarding the game plays. This also includes some mechanics in game (especially, characters). 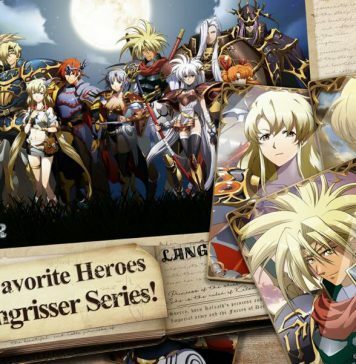 From this Langrisser Mobile guide, you can prepare yourselves a better understanding for the upcoming classic Langrisser game on mobile. 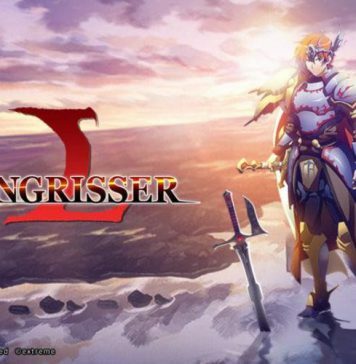 A unit in Langrisser Mobile is a combination of a Hero and the troops he/she leads (consisting of 10 soldiers) . The hero and the soldiers have separate health bars. A unit is defeated when the hero’s health bar reaches 0, regardless of if the soldiers have any HP left. Generally speaking, soldiers act as a shield for heroes, and incoming damage will hit the soldiers before they reach the hero. However, certain skills/unit attacks may cause hero damage simultaneously, or even bypass soldiers completely to hit heroes directly. Langrisser Mobile features a total of 12 different unit types, including: Swordsman, Piker, Cavalry, Flier, Naval (Aquatic), Mage, Cleric, Monster, Archer, Assassin, Dragon and a Boss type. Each hero must fall under one of these 10 unit types, and his/her troops must be one of the types as well, although the hero and the troops do not necessarily have to be of the same type. Certain unit types may have extra effectiveness against other unit types. For example, Swords are effective against Pikers, Pikers are effective against Cavalry and Cavalry against Swords. Ranged classes generally suffer melee penalty (i.e. if their opponent is in an adjacent square when combat initiates), causing less damage while taking more. Certain skills may be more effective against certain enemy types (i.e. ice spells against Pikers). 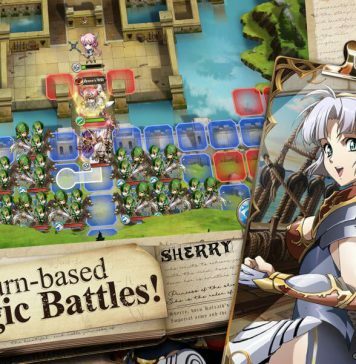 Combat in Langrisser Mobile is carried out on Maps. Maps are divided into square tiles. Each unit occupies exactly 1 tile, including bosses (currently there are no bosses that occupy more than 1 tile). Each tile on the map has a terrain type associated. Different terrain types include Roads, Grass, Forest, Mountain, Water, Wall, etc. Different terrain types have different movement modifiers for different units, i.e. a Cavalry unit will spend more movement points on Forest tile, effectively reducing their overall movement capabilities. Certain terrain types like Wall may not allow units to pass through altogether. Certain types of Terrains (forest, ramparts, etc.) have a defense bonus associated with them, increasing whoever is standing on tiles of that terrain type to gain extra defense (physical and magical) against all attacks. Each unit has a certain number of movement points (equal to his/her mov stat) per turn, depending on the unit’s class and the type of troops he/she brings. Moving through each tile will cost a certain number of movement points (as explained in the Terrain section). A unit will be able to move as long as his/her remaining movement points is greater than or equal to the movement cost of the next tile. When an enemy is within a unit’s attack range, the unit will be able to attack that enemy, as shown by a crossblade icon on the enemy. Different units have different attack ranges, starting from 1 (i.e. can only attacking enemies on adjacent tiles) to 3 (able to attack enemies within 3 squares). If a unit is capable of attacking an enemy from multiple positions, it is possible to move the unit to the desired position first before issuing and confirming the attack command. A unit’s attack range is the higher one of the hero’s range and the troop’s range. HOWEVER, do note that if an enemy is within the hero’s attack range but outside of the troops’, ONLY THE HERO CAN ATTACK, and vice versa, causing overall damage to be reduced (reduction could be significant). If both the attacker and the defender are within attack range of each other, the defender will be able to counterattack as he/she is attacked. If the attacker is out of the attack range of the defender, however, no counterattacks will occur. Certain units have active skills that can be used on enemies or allies, including physical skills, healing spells and damage spells (single target & aoe). Skills are used in the same way as attacks – move to position, choose skill, choose target, confirm. Active skills go into cooldown once used, the number of rounds before the skill is usable again is described in the skill description. A skill with a X turn cooldown can be used every X+1 turns. Certain heroes in Langrisser Mobile has the ability to guard, i.e. take damage for allies. Guarding only works against targeted skills or normal attacks. AOE skills cannot be guarded. Passive: passive guard abilities only applies to adjacent allies. Passive guard may be disabled by NulPassive or MovDown. Note that many active guard abilities have a passive component. Active: active guard abilities generally apply to allies within 2 tiles, but must be cast first to function. Active guard works in the form of a buff on the guarding unit. The effect may be disabled by MovDown, or removed by skills with an offensive dispel component. Physical guard: generally offered by pikers, the guarding unit will only guard against physical attacks, i.e. attacks that use the ATK stat as damage modifier. Mixed guard: offered by 1 hero (Ledin), this type of guard will guard against all incoming attacks with the exception of guard piercers. Certain heroes may offer special buffs/debuffs. Examples of buffs: Tiaris (healing light: chance to heal at the end of combat), Sofia (extra healing taken); examples of debuffs: Listell (healing turn into damage), Berhardt: Atk/DefDown aura. Buffs/Debuffs from the same category do NOT stack. If 2 buffs of the same type are present on the same unit, the one with stronger effect will function (same with debuffs). Buffs from different categories stack. Aura buffs stack with regular buffs of the same type. Buff/Debuff duration in Langrisser M is NOT counted in overall turns, but rather in actions. A buff that lasts “4 turns” in fact lasts for 4 actions. Certain characters have skills/passive that grants extra turns, which makes the same buff/debuff expire faster than on his/her allies. Offensive Dispel: generally offered by Swordsmen, offensive dispel skills dispel buffs on enemies. Defensive Dispel: generally offered by Clerics, defensive dispel skills dispel debuffs on allies. In-combat: You trade blows with the enemy, combat animation plays, counter attack happens. Out-of-combat: AOE skills and certain single target skills (like Naval Hooks) are cast out of combat. There will be no animation and no counter attacking. The reason to make this distinction is because certain passives skills / item passives may have the description “before/after combat” in them, which means these passive skills will ONLY PROC IF YOU ENTER COMBAT. Only skills/items with “before/after actively causing damage” in description can proc on AOE skills/other out-of-combat skills. ATK/INT of the attacker vs DEF/MDEF of the defender: this should go without saying. Skill damage modifier: skills usually have a damage multiplier. Type of skill: Certain skills may prioritize heroes and bypass soldiers. Attack speed: Although this is not officially stated, the speed at which a hero attack matter. A hero with high attack speed may kill enemy soldiers before they are able to deal damage, a hero with low attack speed may die prior to dealing damage. Type strength/weaknesses: Attacking units you are strong against will do extra damage, attacking units you are weak to may be suicide. Buffs/Debuffs: Buffs/Debuffs will play a big role in determining combat outcome, especially in late game. Crit Chance/Crit Damage: critical hits do 1.2x damage, but there are enchants/skills that increases damage multipliers. So what you see may not be what you get. Beware! 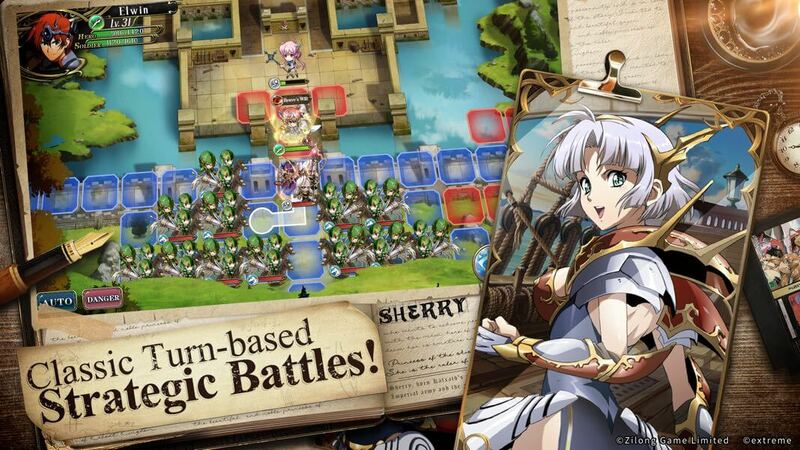 Langrisser Mobile is a turn-based strategy RPG, and as such, the main gameplay involves strategic planning and actual combat. Actual combat mechanics have been explained in an earlier section, and here is a brief introduction of an integral part of strategic planning: Developing your heroes (characters). As was written earlier in this Langrisser Mobile guide, any unit deployed on the map must be led by a hero. Developing heroes is the bread and butter of Langrisser’s power-up system. Player can spend in-game currency (gem aka jewel, obtainable through in-game activities and also purchasable with real money) to buy gold tickets (Trinity Vouchers) to gacha for heroes. Overall gacha rate is 2% for pulling an SSR hero, x% for an SR hero and rest are all R heroes. There are only 3 N heroes in game and that the protagonists all players start with. Pulling additional copies of a hero from the gacha pool will turn them into shards which can be used to upgrade a hero’s star level. Featured banner: featured heroes will have a higher chance of appearing IF the player manages to get an SSR hero. The overall rate of getting an SSR remains 2%. Focus banner: similar to featured banner, except that the first SSR players get will ALWAYS be someone they do not have already (and in the featured hero list). I.e. If Sherry, Elwin and Ledin are in a focus banner, player A has Sherry and Elwin, then he will 100% get Ledin if he manages to get an SSR. Player B has Sherry only, then he will get Elwin OR Ledin on his first SSR pull. Certain events reward hero shards. If a player does not have the hero yet, he will be able to combine 50 of these shards into a full hero. 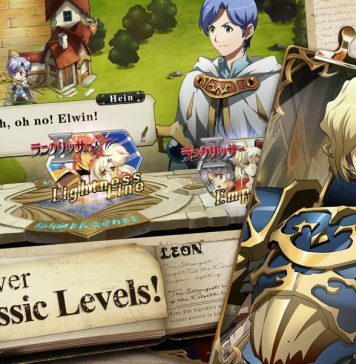 Each hero in Langrisser Mobile has a personal passive (perk? Not sure what the official translation is) that is unique to this hero. The hero passive functions passively (obviously) but is not considered to be a passive skill, and at the moment cannot be disabled in any way. The types of hero passives can vary greatly, from straight stat bonuses (Lance: +x%atk/def against fliers/cavalry) to special buffs (Tiaris: healing light) to stat transformations (Bozel: uses 1.5x mdef as int/x% chance to inflict a random debuff on target(s) whenever he deals damage) to combat passives (Elwin: has a x% chance to drain 30% of damage dealt after combat),etc. Hero passives can only be improved by upgrading the star level of a hero. R tier heroes can upgrade their hero passive 5 times (1->6), SR 4 times, and SSR 3 times. Hero passives are usually the biggest factor in character planning. Certain upgrades in hero passive can greatly improve a hero’s effectiveness: i.e. Sherry’s passive Wild Princess 3*->4* upgrade reduces the passive’s proc cooldown by 1 turn, which means she can have double turns every 3 turns instead of 4; Shelfania’s passive: Kin of Magic reduces the cooldown of all spells she casts by x turns, and her 3*->4* upgrade makes her able to cast all spells with 2-turn cd non-stop. Each hero has 6 base stats, namely HP, physical attack (ATK), magic attack (INT), physical defense (DEF), magic defense (MDEF), and technique (TEC). HP is self-explanatory, ATK/DEF modifies physical damage dealt/taken, while INT/MDEF modifies magical damage dealt/taken. Difference between a hero and his/her opponents’ TEC stats determines the crit rate of the hero. Different heroes have different stats growth rates, marked by the letter (C, B, A, S) to the left of the stats on the hero stats page. However, there seems to be some level of variation within the same level of growth rate (certain characters get more ATK than others despite both having the same growth rating, etc. ), so the growth rating might not be the most accurate indicator of a hero’s true stats and should be used with some level of caution. Below the exp bar and above the stats on a hero’s stat page, there are 1 or more icons. This shows the factions the hero belongs to. Clicking on the icon will display the name of the faction and all heroes in the faction (owned heroes are highlighted while others are dimmed). Being in a faction gives no direct benefits, but rather access to faction-specific faction buffs (super buffs). Certain heroes in any given faction have access to a type of skill called “faction buffs”, which, when cast, grants all player controlled units on the battlefield within that faction 3 or 4 buffs for 4 rounds (actions). The faction the skill buffs is written in the description of the skill so check carefully if the skill will be able to buff your party members before bringing the skill to the battlefield. And certain heroes’ faction buff skill grants an additional special buff which will be covered in the next section of this Langrisser Mobile guide. Bernhardt (Empire): All affected units deal 20% extra damage when fighting against an enemy they are strong to. Leon (Empire): All affected units deal 5% extra damage for each square travelled prior to attacking, to a maximum of 15%. Luna (Princess): All affected units deal a one-time, additional, fixed damage equal to 15% of an enemy’s remaining HP after dealing damage for the first time. Shelfania (Princess): All affected units deal 12% extra damage with active skills. Altemuller (Strategist): All affected units ignore all terrain movement penalties and deal 15% extra damage when standing on terrains that provide a Def bonus. Ranford (Strategist): All affected units with different hero/troop types deal 15% extra damage. Bozel (Dark): All affected units deal 15% extra damage to enemies with 3 or more debuffs on them. Dieharte (Origin): All affected units deal 15% extra damage when having 5 or more buffs on. Zillagod (Origin): All affected units deal 15% extra damage if they have higher HP% than their target when initiating combat. Zerida (Meteor): All affected units deal 10% extra damage if no allies are present in adjacent squares. Upon killing an enemy, affected units will gain 2 extra movement afterwards and regen 20% HP when turn ends. Landius (Legends of the Other Side): All affected units deal 15% extra damage when fighting units they are not strong/weak to.